My mission statement for this blog: Track the progress of my resolution to start a new craft project every week, create some sweet gifts and bolster my crafting street cred. This is the record of how it's going. Hello and happy Saturday! 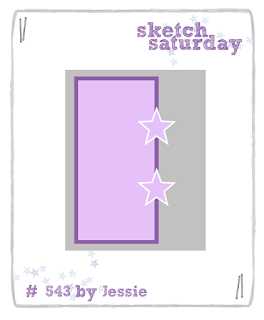 This week we have a fun sketch to play along with at Sketch Saturday. The sponsor is one of my personal favourites, The Paper Nest Dolls. I started by colouring the image with Spectrum Noir pencils, I really wanted a gradient effect and found the blending easier with pencil than with marker. 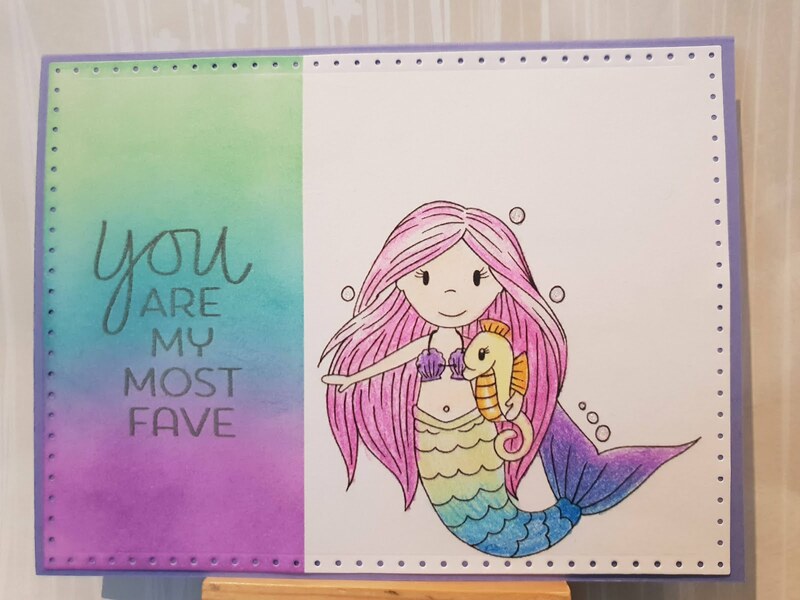 I have a mermaid-obsessed friend so I went with colours I knew she would like. I decided to make the left hand panel blended Distress Oxides and got another gradient. 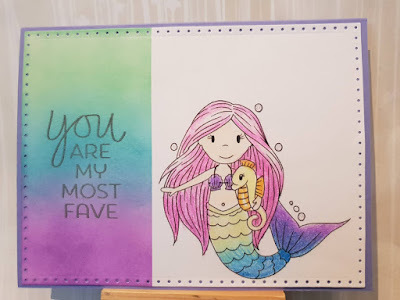 You can't have too many rainbow/ombre effects with a mermaid card. Fact. 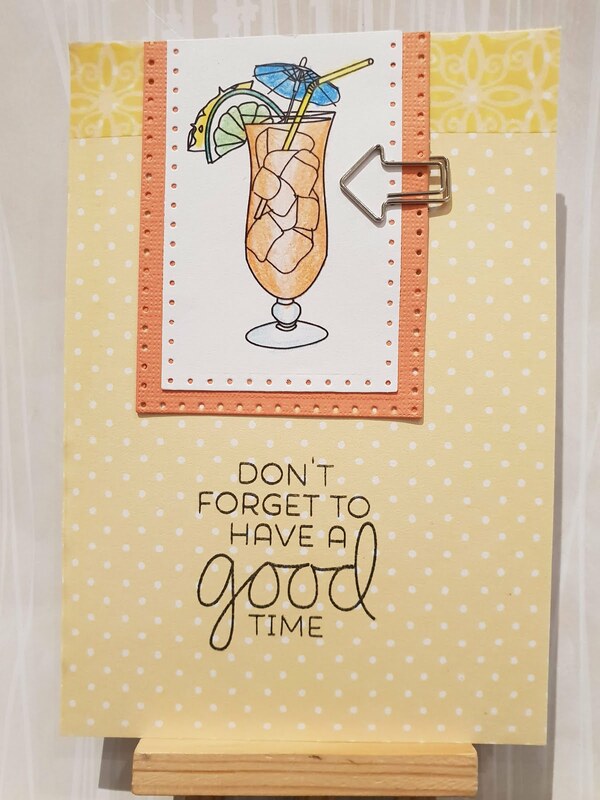 The sentiment is a modern one that I got in a sale last summer and it is perfect for this card. It's modern and silly and completes the sketch really well. Super happy with the result, can't wait to see what people play along with! Hello and happy Saturday! 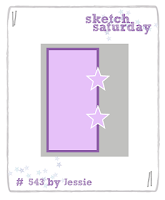 We have a great sketch for you at Sketch Saturday designed by the talented Mrs G! 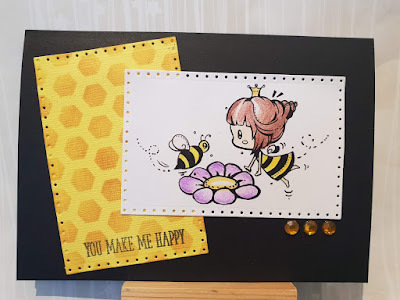 Our sponsor is Star Stampz and I just fell in love with this little bee fairy, I thought she was great. I decided to colour her with Spectrum Noir pencils and then cut her out and put her against a black background. The yellow card was stencilled with a honeycomb pattern and distress ink. The sentiment is an ancient one from my stash. 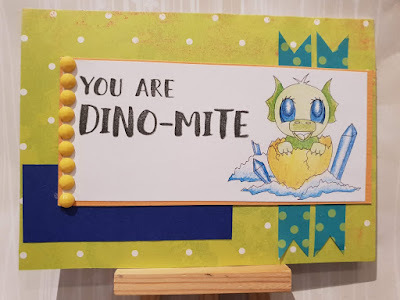 I love how it came together, black, white and yellow are a favourite crafting combo and I think it works really well with the sentiment. Hope you have fun playing along! This week our sponsor is Scribbles Design and I thought it'd be a cheerful start to this January day to use their tropical drink image. I colored it using Spectrum Noir pencils and then die cut it out using spotted border dies to give them a but more texture. 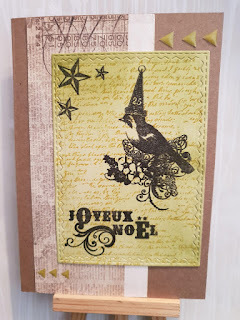 I used an arrow paper clip for the starburst in the sketch and the strip along the top is a washi tape border I have that I thought matched the yellow in the spotted paper (ancient from my stash and I love it used here). The sentiment is such fun, I got it in a set last year and just thought it was perfect for this image. Hope you have fun playing along with us! 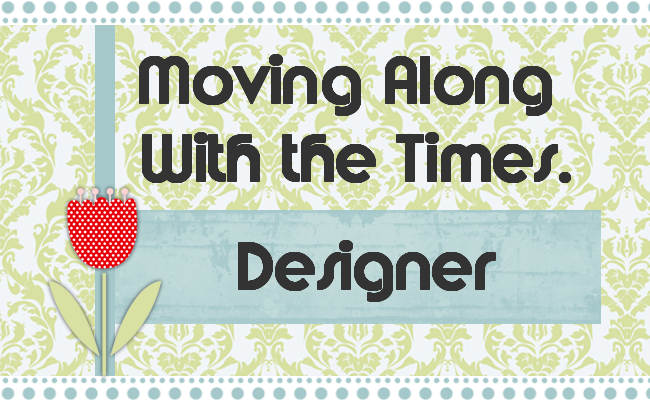 Hello and welcome to another fun challenge at Moving Along with the Times! We have a heart theme this week so it should be fun to play along with. 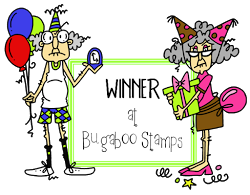 I decided to modify one of my favourite Bugaboo images. 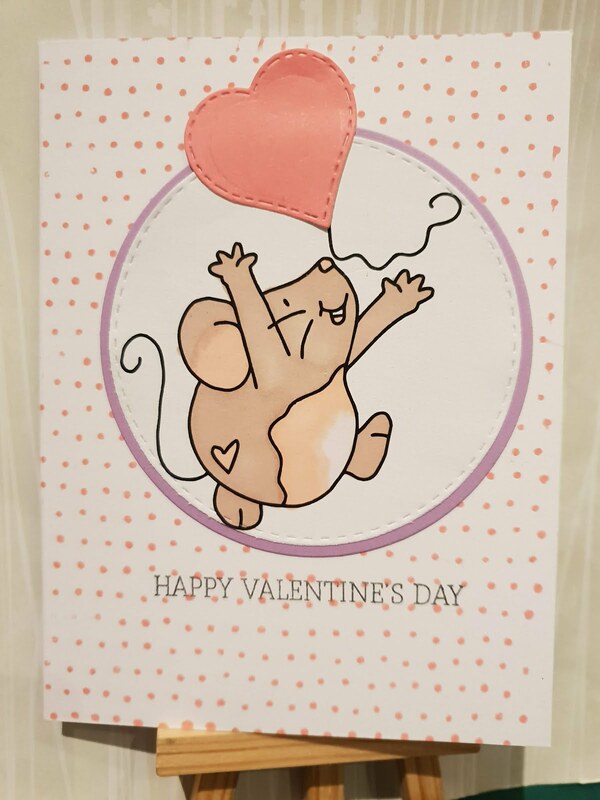 Normally the mouse is chasing a balloon but I used a stitched heart die instead. Look at his little face! Such joy! I used ProMarkers to colour him in and then die cut him out into the circle so he could pop out a bit against the background. I used a giant background stamp to get the irregular dots using a splash of water over distress ink to make them a bit whispery. The sentiment is an ancient one and I kind of wish I had made it pop out more but never mind! Hope you have fun playing along this week! First post of the year and I'm delighted to be playing along with this week's post on Sketch Saturday, a layout designed by the one and only Claire Grantham! Our sponsor provided this adorable dinosaur hatching image and so I coloured him using Spectrum Noir pencils then used a mix of patterned spotted papers from my stash for the background and banners. The sentiment is one from my collection that I wanted to use, I thought the big text worked really well in the space. The strip of half beads is from Poundland, I love how toy-like they are, the matte-effect I think makes a good alternative to pearls or bling. Hope you enjoy playing along this week! Happy Saturday! 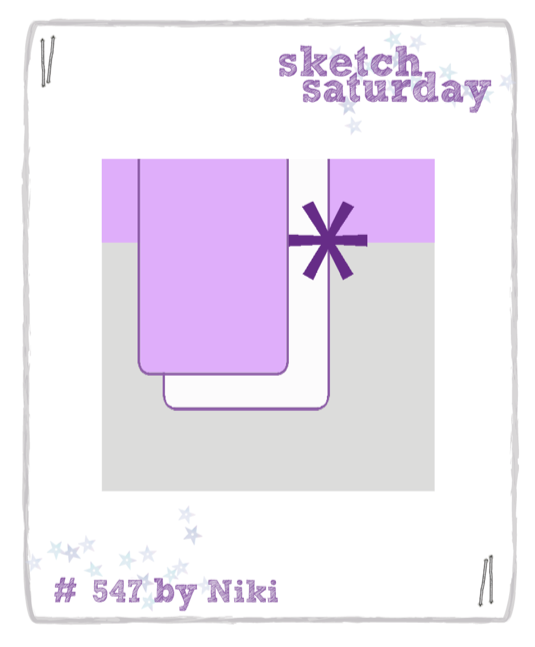 This week at Sketch Saturday we are playing with a sketch I designed, wahoo! I had a lot of fun looking through our Scrap N Dipity sponsor this week as there are so many sweet images to chose from. I love these little penguins and I colored them with ProMarkers. I fussy cut them out so I could layer them on top of each other. I was pretty generous with the glitter glue, I think Christmas cards are a chance to be a bit excessive! I added a Art & co sentiment at the bottom and then topped it off with some stars. I hope you have fun playing along with my sketch! This week at Moving Along With the Times we are doing an anything Christmas challenge. Great brief right. I decided to make something of a collage card as I've been doing a lot of CAS lately and I wanted to make something with a few more textures. 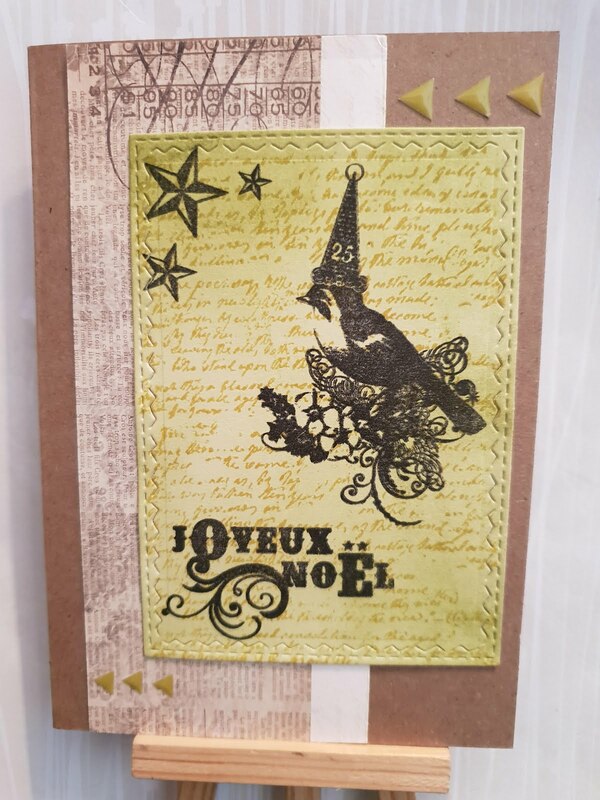 I started by blending a green card and adding a text stamp that works really well for background. 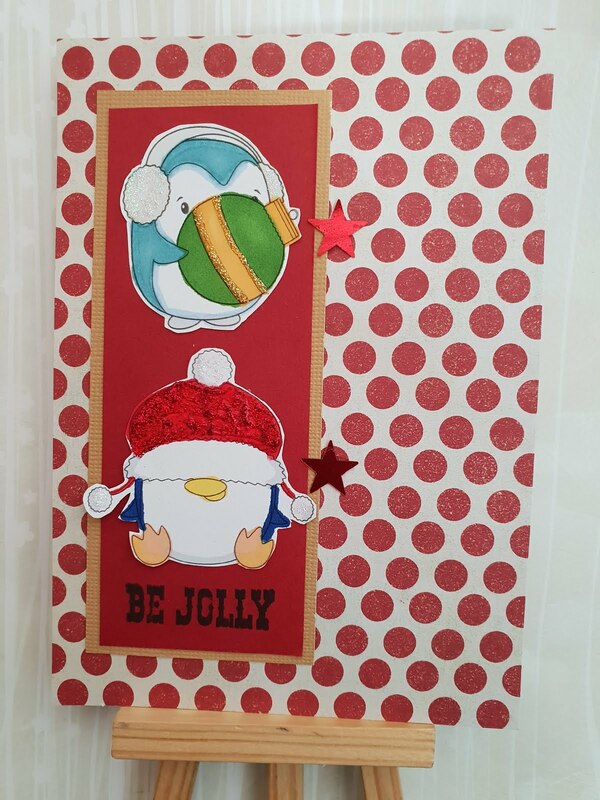 I die cut it using a stitched rectangle die and then added a few stamps from a Christmas vintage Recollections set. 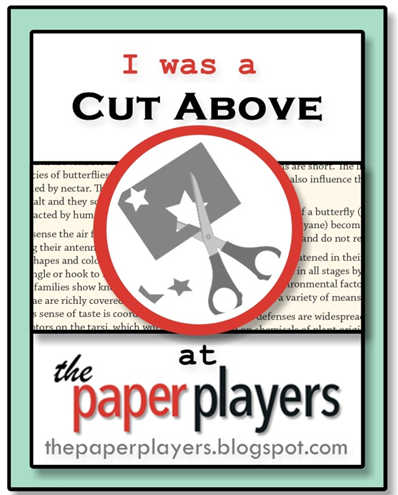 The newsprint card is a scrap that I've had for a while and I thought it looked better on kraft card than on white. I added some olive green enamel triangles for texture and balance on the layout. I'm really thrilled with it, I may just make a few more like this as it was a lot of fun to do the layout. Hope you have fun playing along! Trying to keep the craft passion real, Martha-style. 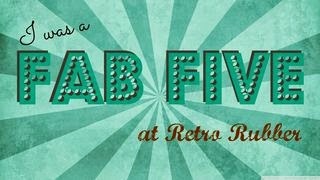 I'm going to try to start a new craft project every week for a year to see if the habit sticks.